What’s that in the sky? Is it a bird? Is it a plane? NO!!! 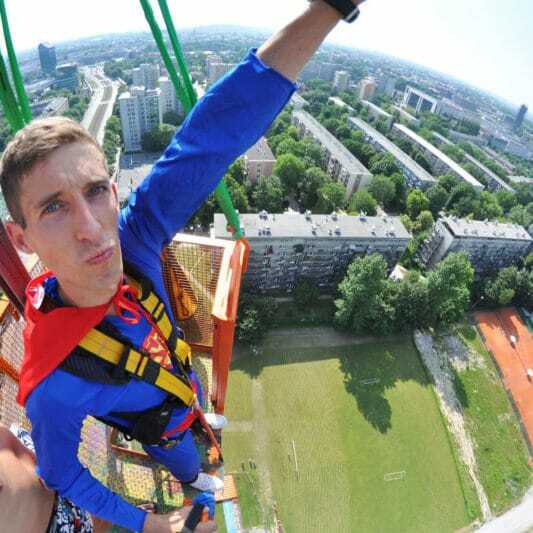 It’s a 90m tall, humongous tower-crane and your best buddy jumping straight off it! What a daredevil! 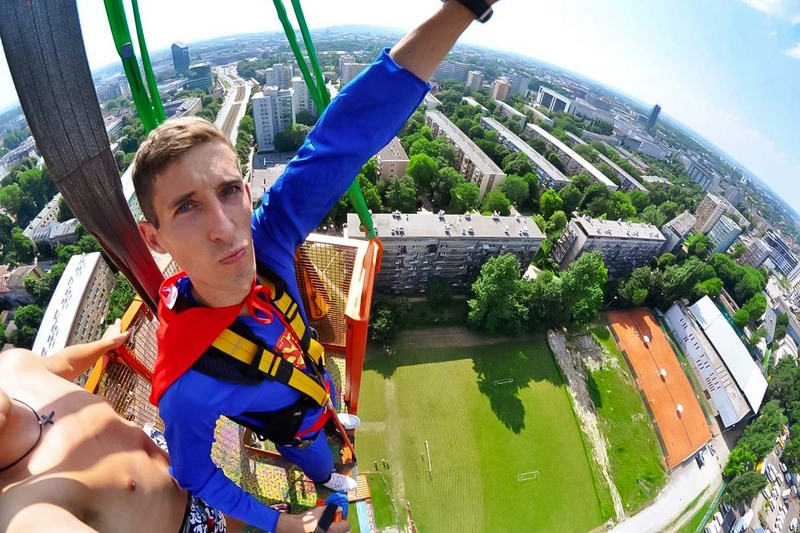 We love adrenaline nuts here in Xperience Poland, that’s why we offer you a once in a lifetime opportunity to do Bungee Jumping right bang in the middle of Krakow. The equipment used is made of the highest quality products from the most reputable companies and guarantees the safety of the jumper. The team consists of trained people who will prepare you for the jump and will do anything to help you make the decision so that the jump is an unforgettable experience! 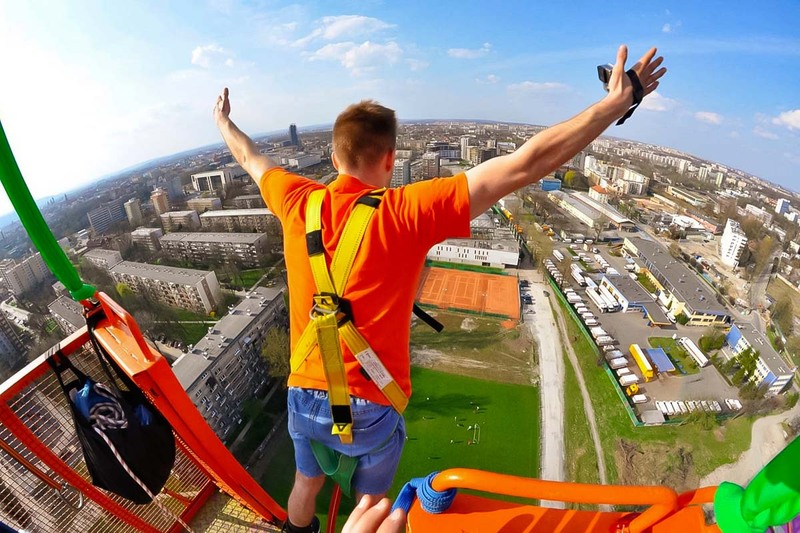 Before the jump, you can order a series of pictures from the jump or a video from a GoPro camera, which is safely attached to the participant’s hand, and keep this experience forever not only in your memory. It takes up 10 minutes after the jump to record it onto a CD. Also, a certificate confirming the jump awaits for each brave soul! Bungee jumping Krakow is a fantastic gift idea, the beginning of a bachelor party or a hen party (remember to make a jumper sober :)). Enjoy the view!